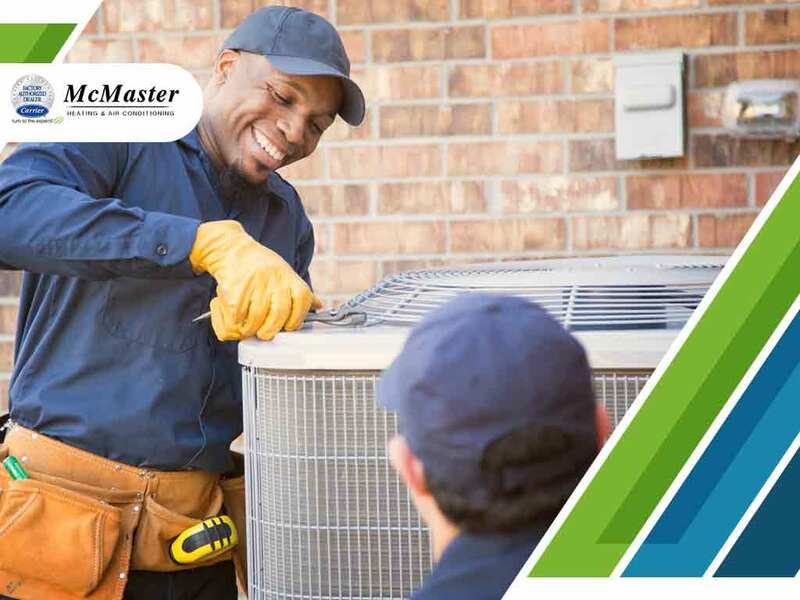 Today’s HVAC manufacturers, such as Carrier®, offer heating and cooling systems that are touted for their energy efficiency. A lesser-known yet more important benefit of energy-efficient HVAC systems—in addition to the energy savings and improved reliability—are their environmental benefits. Read on as McMaster shares a closer look at these benefits. Electricity from the grid is generated mostly by burning fossil fuels. In addition to the steadily increasing cost of raw materials, burning fuel emits high levels of carbon, which has been proven to be harmful to the environment. Homeowners who own inefficient HVAC systems not only end up paying more for their heating and cooling but are also affecting the environment. The Energy Information Administration has reported that an average home spends nearly half of its annual energy costs on heating and cooling. Upgrading to an energy-efficient HVAC system can reduce as much as 25% of your overall energy costs without compromising performance. Even more important is the fact that this reduced dependency on energy from the grid can dramatically reduce your home’s carbon footprint. If enough homes make the switch to energy-efficient HVAC systems, the environmental benefits can be enormous. HVAC systems are being phased out because of R-22, also known as HCFC-22. It is a type of refrigerant found to be an ozone-depleting substance, meaning the more it is used, the thinner the ozone layer gets, and the warmer the atmosphere becomes. Steps have since been taken to phase out R-22. HVAC systems manufactured after 2010 are designed to use ozone-friendly refrigerants such as R-410A, while others can be retrofitted by knowledgeable HVAC technicians. Switching to R-410A also improves HVAC system energy efficiency. It achieves the ideal temperature during the compression stage, which means less energy is required to produce cold air (as well as warm air, in the case of reversible heat pumps). Less strain on the HVAC system can also help improve its life span. Switch to Energy-Efficient HVAC Systems Today! Invest in an energy-efficient HVAC system and enjoy these benefits. Call McMaster today at (949) 441-5611. You can also fill out our contact form to schedule a free estimate. We serve Irvine and surrounding areas.